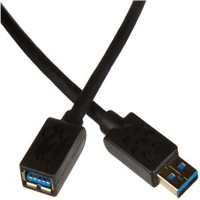 This USB 3.0 cable provides a transfer rate of up to 4.8 Gbps when connected with a USB 3.0 compliant host and device. Foil and braid shielding reduces EMI/RFI interference and twisted pair contruction helps reduce crosstalk thus ensuring SuperSpeed, error-free data transfer. Protective overmolded connector is color-coded blue to highlight USB 3.0 connectivity compatibility. Foil and braid shielding reduces EMI/RFI interference and twisted pair contruction helps reduce crosstalk thus ensuring SuperSpeed, error-free data transfer. Protective overmolded connector is color-coded blue to highlight USB 3.0 connectivity compatibility. USB 3.0 (4.8 Gbps) provides TEN TIMES the capability of USB 2.0 (480 Mbps); it also provides up to 900 mA power instead of the 500 mA available with USB 2.0. 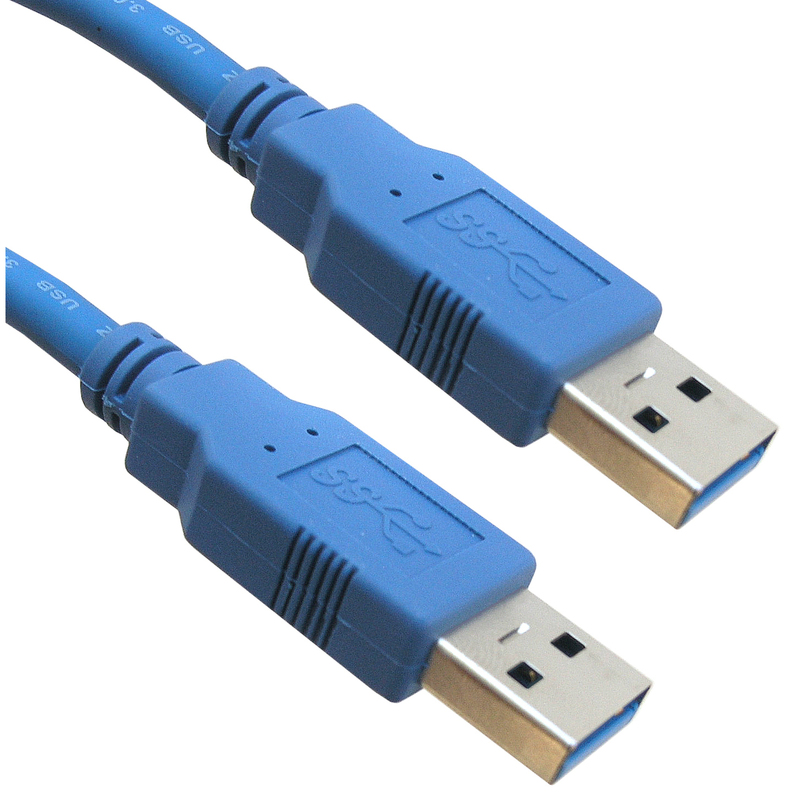 Type A connections are backwards compatible to USB 2.0 and even USB 1.1. 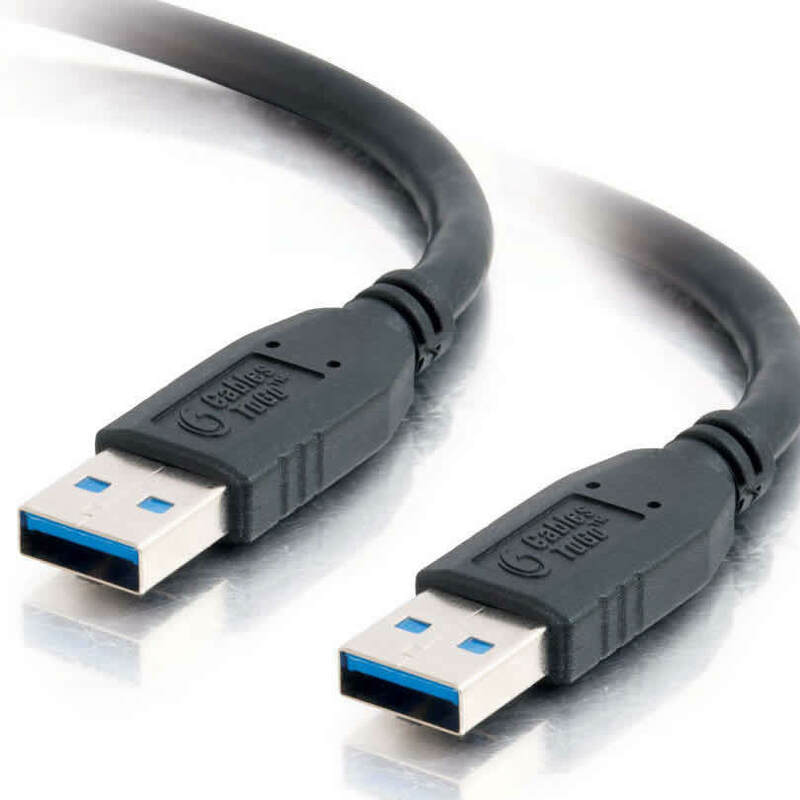 Finally, while USB 2.0 cables will work with USB 3.0 devices (at the lower USB 2.0 transmission speed and power), you won't enjoy the SuperSpeed of USB 3.0 without connecting with USB 3.0 cables! 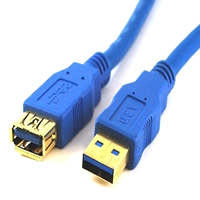 This USB SuperSpeed cable enables the extension of an existing device up to a total of 10 feet without a hub/repeater or up to 60 feet (six cables) with hubs/repeaters.